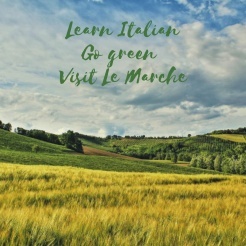 Greenitalian is the first ecofriendly Italian language and culture course provinding for open air classes in the countryside or by the sea and eco-touristic activities to discor the Marches. Greenitalian classes aims at studying Italian language and culture actively and in deep contact with the local territory and food and artisan traditions. It is the real experience of Italian life, visiting an undiscovered region.